Climate Change: Canada Warming Two Times Faster Than the Rest of the World! Canada is warming faster than the rest of the world, scientists have warned in a new study. 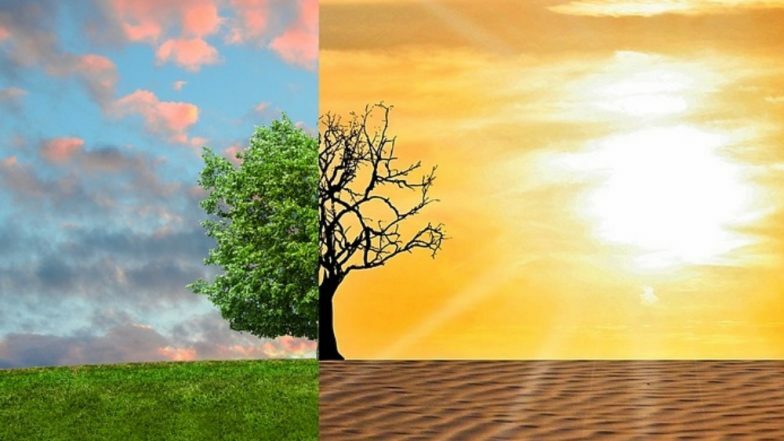 In research conducted by officials at Environment and Climate Change Canada titled 'Canada's Changing Climate Report' researchers say that the effects of global warming are two times in Canada. According to the report, Canada's average land temperature has increased by 1.7 degree Celsius since 1948. The research has been in the works for years and was released on Monday to make public aware of it. It is aimed at informing policy decisions and understanding of Canada's changing climate. Michael Mann, a professor of atmospheric science at Penn State University, told CNN, "North America, and especially Canada, is seeing even more rapid warming than the planet on the whole, and the impacts are now readily apparent. In the case of Canada, climate change threatens its very identity, melting its glaciers and ice, shortening its iconic winters by turning snowfall into the rain, and flooding its beautiful coastlines" He added saying, "This latest report drives home the fact that climate change is a dire threat now, and if we don't act to dramatically reduce carbon emissions, that threat will only worsen with time." Global Warming: World In the Midst of Warmest Ten Years since 1850. The authors in the report say that since 1948 annual precipitation has increased across Canada, mostly in Northern Canada and parts of Manitoba, Ontario, northern Quebec and Atlantic Canada. It has also resulted in reduced snowfall in Southern Canada. Rains could result in flooding in urban areas and warming will increase heatwaves causing droughts and wildfires. Extreme heat which generally occurs every 20 years can be expected every five years. Climate Change To Worsen Your Health, Warn Doctors: Here’s How Global Warming Will Affect Human Lives. The report says that the only way to contain the rising temperature set by nations at the Paris climate change in 2015 is for "global emissions to peak almost immediately, with rapid and deep reductions thereafter." And even the medium emission situation, Canada's glaciers west will lose between 74 per cent and 96 per cent of their volume by the end of the century. According to the Intergovernmental Panel on Climate Change (IPCC), a UN body, limiting global warming to 1.5°C would require rapid, far-reaching and unprecedented changes in all aspects of society. It will come with extreme climate and even health risks for humans.